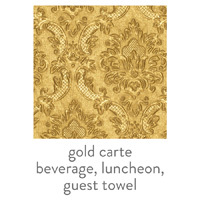 Carte napkins and guest towels are imported from Germany and are quite spectacular. 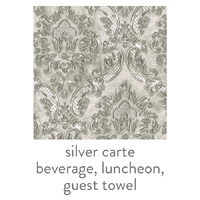 The napkin itself has an elegant blind embossed texture in a beautiful Old World pattern with a slight sheen. 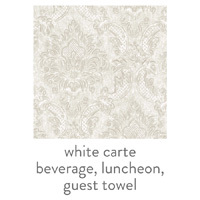 Personalization/printing is done on top of the embossed napkin. 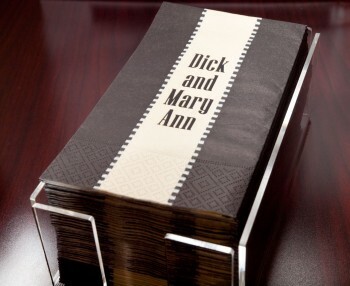 These gorgeous personalized napkins always make an impression. 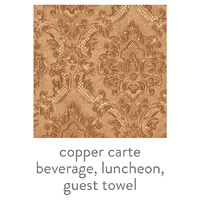 Personalized Carte Napkins and Guest Towels are available in 3 sizes (beverage/cocktail, luncheon and dinner/guest towel) and 5 elegant colors with low minimums starting at quantities of 50. Made in Germany, printed in the USA and recyclable. 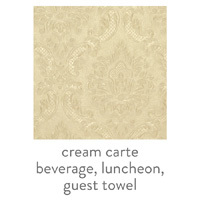 SEE RELATED PRODUCTS BELOW TO ORDER ACRYIC HOLDERS FOR NAPKINS AND GUEST TOWELS.